There are a lot of misconceptions about prenuptial agreements. Often considered at best pessimistic, at worst prescient of marital failure, prenuptials are a loaded proposition. The reality is more forward thinking and considerate. A Prenuptial agreement in NJ or NY have many more functions than simply protecting one’s assets. A Prenuptial agreement in NJ or NY will vary, but there are some generalities that have broad application. 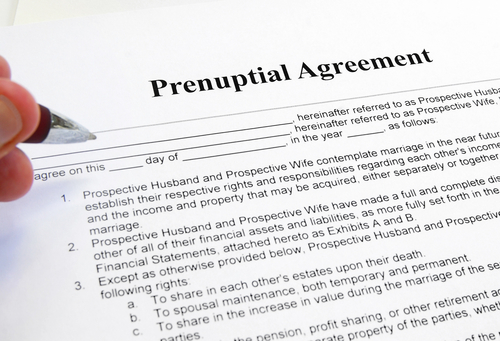 A prenuptial agreement in NJ or NY is a contract that is entered into before marriage (i.e. pre-nuptial). In general, a prenuptial agreement in NJ & NY may be entered for a number of reasons, not necessarily because one party is fearful of losing their assets to the other, or is otherwise anticipating a future divorce. One typical objective of a prenuptial is to protect certain assets for the pre-existing heirs of one party (from a prior relationship). If you enter into a marriage with children from a previous marriage or relationship, a prenuptial agreement in NY or NJ can ensure that these children are provided for regardless of your new marriage. Another reason for a prenuptial is to distinguish non-marital or premarital assets from those which will accrue during the marriage. For mature parties marrying in NY & NJ who have established businesses or careers and assets, certain issues pertain that would not be considerations for younger couples just beginning their professional lives. Everyone enters new experiences and relationships informed by their history, and sometimes these histories cast long shadows into even the brightest futures. When someone has suffered a prior difficult divorce and carries the residue of such things as an unfair settlement agreement, they may want a prenuptial agreement to ensure they have taken measures to secure themselves in a new way. However, these contractual agreements can be challenging because a prenuptial agreement in NJ and NY can be unenforceable if certain requirements aren’t met. It is important that a prenuptial agreement in NJ or NY be reviewed by separate attorneys for each party and that each party has the full opportunity to appreciate and understand the agreement they are entering. When both parties enter the agreement from an equalized, grounded place, it is less likely that one party was disempowered and uninformed, or even coerced into signing the prenup. Timing is another important aspect of creating a valid prenup. Prenuptial agreements executed very close to the wedding day can give the appearance that one party was pressured to signing the agreement without the benefits more time would have allowed. Mediation accounts for both of these concerns. In mediation, both parties are involved in the development of their agreement. Both parties are helped to define their individual and joint interests and concerns and how the prenuptial agreement can support them. The parties are encouraged to openly discuss their feelings about the prenuptial itself. The healthy process of candid, difficult conversation and cooperative problem solving can contribute to the substantialness of the marital relationship to come. When parties engage in mediating their prenuptial, they both can fully participate in the development of the agreement. There is occasion for full transparency and discussion before agreement is made. One of the purposes of a prenuptial is to define and agree which prior assets and debts will remain outside of the marital estate as individual property. Married people tend to comingle their assets, share expenses and earnings, and contribute to investments and purchases together. The longer the marriage, the more intertwined its finances. A prenuptial agreement clearly defines what is intended to be separate, and can also outline what is intended to be joint. Clarity around finances and transparency around expectations prior to entering a marriage can prevent later conflicts and resentments. A thoughtful prenuptial mediation engenders honest communication. 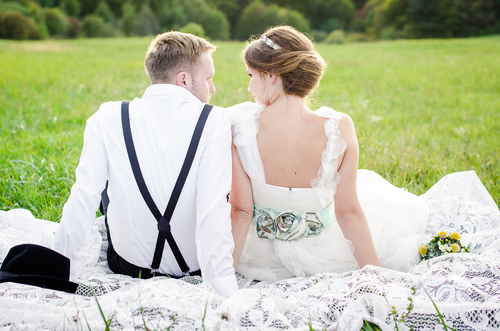 A clear prenuptial can be a responsible way to protect a marriage from common impediments. Although prenuptial agreements get a bad name, they can actually be very loving and conscientious documents. One of the main stressors in a marriage is finances. Prenuptial agreements can be a way to have that uncomfortable conversation before it becomes a problem in the marriage. A prenuptial agreement in NJ and NY is an agreement about how money should be managed. You may come from a very different financial background than your spouse, and you may have very different ideas about what is and is not ok when it comes to money. 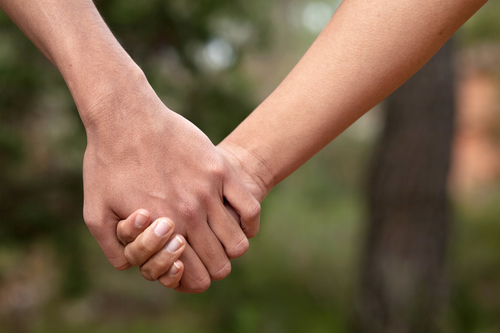 A prenuptial agreement can help you iron out those issues before they take root. By getting these issues out in the open, you have a chance to talk over any problems with your spouse through mediation. 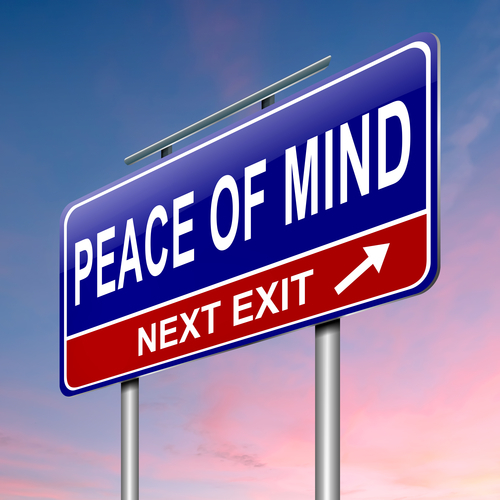 Mediation provides a safe and neutral environment to address any potential issues. It can be a gift to a relationship, and it can give you the courage to clarify these issues before starting a marriage. A prenuptial agreement in NJ and NY is not about adversaries protecting themselves from one another—it’s a financial mission statement from and for both parties. Every business needs a mission statement, and a prenuptial agreement can serve the same function for your marriage. A prenuptial mediation can introduce and address difficult topics which are always present but often unaddressed until they become toxic. Mediation helps make the conversation around money, assets, yours, mine and ours, easier and safer; the agreements born from mediation tend to have greater credence should they be relied upon later in court. Some issues that cannot be addressed are potential children or future, unknown assets. You cannot use a prenuptial agreement to state that either you or your spouse will not pay child support for a child not yet in existence. The agreement distinguishes marital and nonmarital assets and assets that are intended to remain separate. It can outline how you agree to manage certain financial issues. Memorializing this in writing can provide peace of mind when entering a new marriage. For parents and others who intend to provide posthumously, a Prenuptial Agreement in NJ and NY is not the only contract needed. Couples drafting prenuptials are advised to draft their wills concomitantly, as many of the same issues coincide and should be addressed in parallel terms in both documents. Keeping both documents current and consistent will help protect your assets for both you and your heirs. If you’re seeking a prenuptial agreement in NJ or NY, click here to contact us and see how mediation can help you design a document more likely to be upheld in court.